Retaining rings hold onto a shaft externally to prevent the shaft from sliding out of position. They are available in a variety of shapes and sizes. A retaining ring is a fastener that holds assemblies or components onto a shaft or in a housing when installed on to a groove. After the retaining ring is installed, the exposed portion acts as a shoulder which will retains the specific component or assembly. Where there is no groove, a self-locking retaining ring may be used. Retaining rings are usually made from steel or stainless steel. 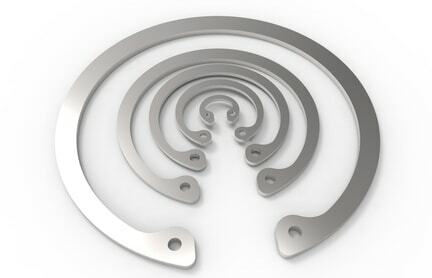 Retaining rings may have various finishes for corrosion protection depending on the application or type of environment in which they are used.